Members: please log-in below, left, to access your profile, TO RENEW YOUR MEMBERSHIP, and to access member-only materials and forums. Please note: this site is best viewed with Internet Explorer or Chrome. The New England Society for the Treatment of Trauma and Dissociation (NESTTD) is an organization devoted to providing education, training, and resources on the effective treatment of psychological trauma, complex trauma and dissociation. Founded in 1984, NESTTD is incorporated as a nonprofit organization. The society has its headquarters in Massachusetts and has members from Connecticut, Maine, Massachusetts, New Hampshire, Rhode Island, and Vermont. Members: Workshop handouts that have been approved for sharing by the presenter may be found in the Members Area of the website after logging in. NESTTD has made available to its members the “Mining the Treasures of our Membership” video series. The focus of this interview series is on members of our community who have not been NESTTD presenters and are held in high regard for his or her contribution in the area(s) of leadership, teaching, training, trauma theory, or innovations of clinical practice. To access these videos, please log in at the left and go to the Members Area using the side navigation bar. Click on Video Library and follow the instructions to view the videos. We hope you enjoy this series. This program is full and registration is closed. Please put your information on the waitlist in order to be contacted if space opens up. Program Description: This workshop is designed to help clinicians, who use a variety of therapeutic approaches, consider how to organize treatment plans and make moment-to-moment decisions about which interventions may best meet their clients’ needs. 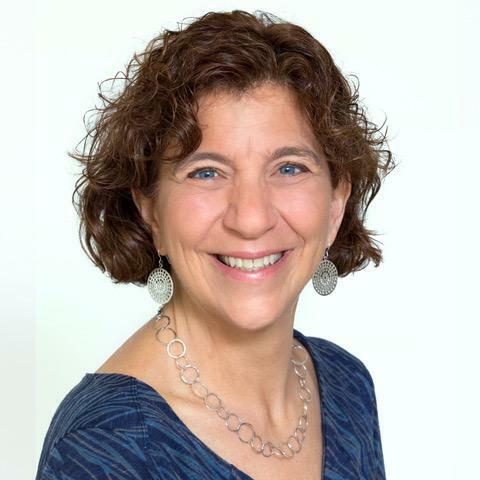 To establish a framework for this task, Dr. Debbie Korn will 1) introduce a clear clinical map to guide the integration of ideas and strategies from IFS, EMDR, AEDP (and perhaps a sprinkling of other models for good measure); 2) discuss different lenses for conceptualizing complex trauma cases; 3) highlight each model’s most useful concepts and interventions; 4) explore common denominators across the models; and 5) identify each model’s unique contributions. Throughout the workshop, video recordings will be used to demonstrate the integration of these treatment models and to facilitate discussion. Note: Please be advised that this workshop is appropriate for all interested clinicians whether or not you are familiar with IFS, EMDR, and/or AEDP. Also, though this workshop is, in a sense, a follow-up to last year’s Spring Friday Afternoon Panel Presentation focused on these 3 compelling models, participation in that program is not a pre-requisite in any way for this upcoming event. *Cost for CEs is $25. Cancellation and refund policy: Registrants may cancel their registration for a program and receive a full refund by contacting the Member Services Director, Janice Herndon, at info@nesttd-online.org or 508-964-2234 up to seven (7) days prior to the scheduled program. No refund or credit under any circumstances will be available for cancellations outside of the established time line set in this Refund and Cancellation Policy, unless an event is cancelled by NESTTD, or the Program Venue is closed due to inclement weather. 17 Mar 2018 "Fundamentals of Complex Trauma and Dissociation"
18 Mar 2017 "Fundamentals of Complex Trauma and Dissociation"
25 Feb 2017 Lynn Sanford presents: "I Am Bad So I Do Bad: The Power of Shame"
03 Dec 2016 Deb Dana LCSW presents AFTERNOON INTENSIVE "Bringing Polyvagal Theory Into Your Clinical Practice"
03 Dec 2016 Deb Dana LCSW presents " The Rhythm of Regulation: Building Safety from a Polyvagal Perspective"
18 Sep 2016 Bruce Ecker LMFT and Sara K. Bridges PhD Present "Coherence Therapy: Training Intensive "
17 Sep 2016 Bruce Ecker LMFT and Sara K. Bridges PhD Present "Memory Reconsolidation in Psychotherapy: Utilizing the Innate, Core Process of Transformational Change"
02 Apr 2016 Constance Dalenberg, PhD, Intensive "Building Relationships and Regulation Skills in Dissociative Populations"
02 Apr 2016 Constance Dalenberg, PhD "Countertransference and Transference Crises in Working with Traumatized Clients"
30 Jan 2016 Joanne Twombly, LICSW " Using Hypnotic Language to Make Your Interventions More Effective"
31 Jan 2015 Frank G. Anderson, MD “Meds and Meditation: Key Components to Healing Trauma"
06 Dec 2014 Stephen W. Porges, PhD "Connectedness as a Biological Imperative: Understanding trauma through the lens of the polyvagal theory"
18 Oct 2014 Elizabeth S. Bowman, MD "How Trauma Shows Up in the Body: Recognizing, explaining, treating"
02 Mar 2013 Deborah Rozelle, PsyD " Mindfulness, Meditation and Trauma: Finding a Path Toward Post-traumatic Growth, Resilience and Flourishing"
05 May 2012 Steve Frankel, PhD, JD "Dancing with the Risks: Safe Steps, Tricky Steps, Landmines"
20 Mar 2010 Frances K. Grossman, PhD; Anne Westcott, MSW, LICSW & Meg Striepe, PhD: "Working with Dissociation and Parts in Couples and Family Work: A Collaborative Model"
09 Jan 2010 Nancy Riemer, LICSW: "Creativity, Improvisation and Trauma Treatment: When there is no Road Map--finding your way home"